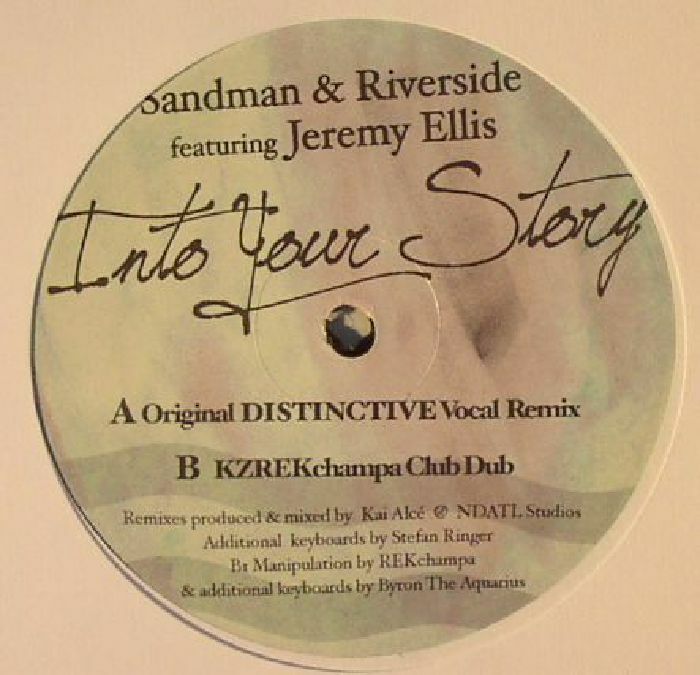 SANDMAN/RIVERSIDE feat JEREMY ELLIS Into Your Story vinyl at Juno Records. It's been a while since we last heard from former Ubiquity Records modern soul starlet Jeremy Ellis. Despite his mid-2000s success, the man with the golden tonsils has been off the radar since 2010. He's sounding as smooth and soulful as ever on this surprise return to action, lending his impeccable tones to a chunk of lilting deep house from Sandman and Riverside. Kai Alice handles remix duties on the A-side, delivering a tactile chunk of heavily electronic deep house with fluid chords and extended solos aplenty. That musical fluidity comes to the fore on the flipside KZREKchampa Club Dub, which peppers a shuffling, glassy-eyed groove with selected snippets of Ellis's brilliant vocal.